Let's use our already calculated Gross Potential Income result of $54,000. It is if all units are full and all rents paid. Based on experience, the current market and rental occupancy, we estimate that our losses due to vacancies and non-payment will be 5%. Let's think about the rental property investment and break down the two major components, income and expense. We'll start with expenses. Those are all pretty well-defined, and we have some control over some of them. We can shop and negotiate some of them to reduce those expenses. The point is that they are going to have what we can pretty accurately estimate as maximum amounts we can use in ROI and profit calculations. They aren't things we can change dramatically; that is unless you can get taxes repealed or lawyers and accountants to work for free. When it comes to income, however, things are less quantifiable because we have more opportunity and a little more control. Let's think about some of the ways in which income is determined and variable. How well we do our due diligence to locate bargains is the first control we can exercise over income. Not only is it about finding a bargain, but also about knowing the best location, neighborhood, and property characteristics will be best for rental. Keep in mind the features and amenities that renters want, and they are mainly what buyers want. Go check out some new homes in hot subdivisions. Perhaps there are some relatively inexpensive things you can do to make the home you buy more desirable, thus more in demand. Once you figure out where to buy, you do your research and locate possible properties. You do some more due diligence and a whole lot of calculations. Once you find the right one, it's time to negotiate your way to a price that's below current market value. Now, it's easy just to say, get as much as possible, but that's not necessarily the best approach. You take into account the prevailing rents and how your property fits in with features and competitive edge. Then calculate your losses when the property is vacant between tenants. You see, if the rent is set too high, you will probably experience more ​vacant time so that you may lose all or even more of your gains from the higher rent. That's control, and you have some. Now that you have tenants in place, keeping them as long as possible at prevailing rents is a great approach, and you have some control of that. Great tenant relations, excellent service, good complaint handling techniques all come together as management techniques to maximize income. Doing all of the right things in marketing, lease application and interview processes and ongoing management will keep your income flowing and cut down on vacancy and credit loss. As you can see, you have more things you can influence or control on the income side than on the expense side. 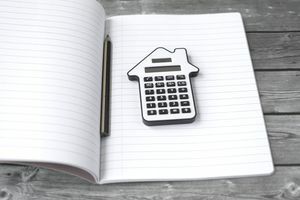 Spend the time necessary to get the expense side tightened up, but concentrate on the income side items to get the most out of your rental investment.